Lynn Clayton and his wife, Leah, have enjoyed seeing the church grow and reach its community through its ministries which include bread distribution, Trunk or Treat and prayer. DERIDDER – Laughter of 25 little ones fills the room as Pastor Lynn Clayton walks into the children’s building at New Life Baptist Church. Not far away, a group of young adults huddles in a classroom for Bible study, enjoying the lesson and one another’s fellowship. But 12 years ago, the thriving children’s and young adult department were almost non-existent. Clayton had just come on the scene as interim pastor at the church while working as the editor of the Baptist Message. The church was averaging around 28 in Sunday morning attendance in what was at the time a mission of First Baptist Church in DeRidder. Then, God began to move in a mighty way. Within 18 months, they moved from mission status to a self-supporting church with 73 members. By 2008, the church had grown to the point where they needed a new worship center to accommodate what was now an average attendance of 100. Four years later the building was complete and today attendance on a Sunday morning ranges between 200 and 250. However, New Life Baptist is not done with making sure it adds more space to accommodate its growing congregation. This year the church plans to construct a building that will house 10 children’s classrooms and four adult classrooms. Clayton said the heart his congregation has for outreach and welcoming guests are what makes New Life Baptist a healthy, growing church. Among its ministries is the annual Trunk or Treat, held on its campus around Halloween. Hundreds of people visit the event and receive a dose of Christian love to go along with candy. In addition to the Trunk or Treat is handing out homemade bread baked by members to first-time guests on Sunday mornings and at homes in the DeRidder area. In 2014, 1,500 loaves of bread were distributed, along with information about the church, a gospel tract and on Easter an invitation to the special service. This effort is primarily a prayer walk and every household is prayed for. Clayton said the heart his congregation has for outreach and welcoming guests to its church are what makes New Life Baptist a healthy, growing church. Ed O’Neal said that atmosphere of concern and care by New Life Baptist members is what drew him to the church, joining four years ago. Paige LeBeau, echoed the thought. When she first became a member of the church in 1996, she felt she could help the church which was hovering around 25 in attendance. But in the end she received an even greater blessing. 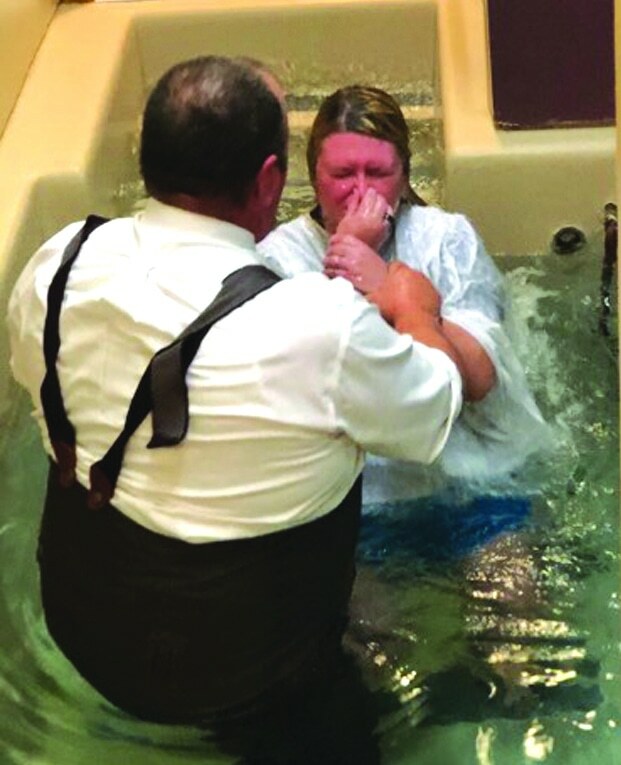 Another long-time member, Betsy Roy, added that a special quality of New Life Baptist Church is that it is an inclusive church rather than an exclusive church.